Resolve of Steel is just around the corner – very excited! Well, I’m so grateful to the readers who have picked up a copy of War Without Honor in the past three weeks…it’s been a great first month so far! But, I am in final editing of Book 2 Resolve of Steel and man, it really keeps the action moving! Tom Halloran and crew face new challenges as they try to (literally) navigate a galaxy and opposite factions within humanity in their quest to return to Earth. 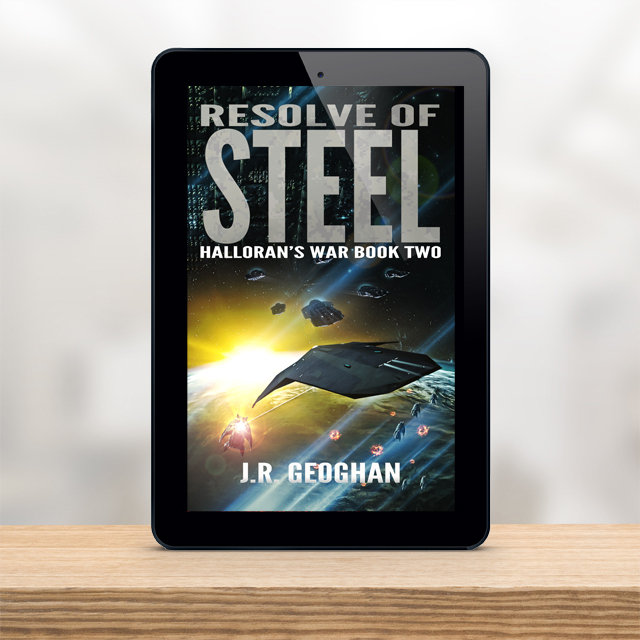 Resolve of Steel launches on April 5th and the pre-orders are coming steadily in – thank you so much. As I look to the dramatic conclusion of the first trilogy in the series, I’m salivating at the plot blossoming inside my devious little head. Um, more later.